3 × = 18 Required Please enter the correct value. There are 14 upcoming IPOs this week, which marks the busiest five-day stretch for IPOs since July 28, 2014. They're expected to raise a combined $1.9 billion. The most anticipated offering this week is Bojangles' Inc. (Nasdaq: BOJA). It will be the second restaurant IPO this year behind Shake Shack Inc. (NYSE: SHAK). SHAK stock roared out of the gate on its Jan. 29 debut and has gained 237% since then. The Bojangles' IPO could continue the hot streak of first-day pops for restaurant deals. Shake Shack soared 118.6% in its first trading session. Burger chain The Habit Restaurants Inc. (Nasdaq: HABT) doubled its share price on its first day last fall. Shares of El Pollo Loco Holdings Inc. (Nasdaq: LOCO) leaped 60.2% on its opening day in October. 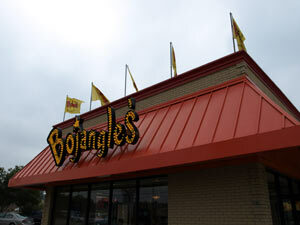 Bojangles' Inc. (Nasdaq: BOJA) is a restaurant chain known for its Southern-style chicken and biscuits. The company has 622 stores across 10 states and Washington, D.C. Bojangles' deep-fried offerings don't offer much in the way of health claims. According to Renaissance Capital, a manager of IPO-focused ETFs, Bojangles' instead emphasizes its made-to-order meals and cult following. Investors are drawn to the company's growing sales, with $430 million last year alone. The chain plans to raise $100 million by selling 6.25 million shares at a $15 to $17 price range. It's valued at $629 million and will hit the market on Friday, May 8. Tallgrass Energy GP LP (NYSE: TEGP) is a natural gas company that owns interests in Tallgrass Energy Partners LP (NYSE: TEP). Tallgrass provides gas transportation and storage services for customers in the Rocky Mountain and Midwest regions. It's on track to becoming the second-largest IPO this year behind fellow energy MLP Columbia Pipeline Partners LP (NYSE: CPPL). Tallgrass is set for a $900 million deal by offering 35.31 million shares at a price range of $24 to $27. The company commands a $4 billion valuation and will begin trading on Thursday, May 7. Three LPs have raised more than $800 million in the last year. Shell Midstream Partners LP (NYSE: SHLX) raised $920 million last October and is up 79% since the IPO. Antero Midstream Partners (NYSE: AM) priced above its range at $25 and raised $1 billion on Nov. 5. Most MLPs offer midstream assets like pipelines and storage, meaning they lack direct exposure to low oil and gas prices.